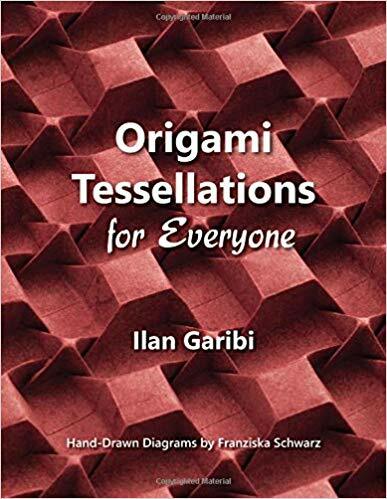 I am really happy to recommend you the new origami tessellationbook by Ilan Garibi. 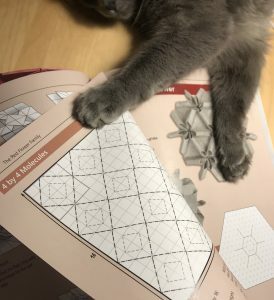 This origami book has lots of nice introductory stuff that is kinda obvious to experienced folders to the point they never take time to discuss that with the beginners. I remember my own frustration when I could not fold grids properly. Theoretically there’s no difference in which order you fold the grid. But in practice there is a huge difference and some tricks to ensure that you fold is as precise as you can. There are some other things about tessellations that you can either learn quickly from this book, or spend lot’s of time till the enlightenment hits you. Some sequences of folding tessellations are really faster and cleaner than the others and Ilan discusses that too. I also like the way he organised the material in folding the single molecule first, then proceeding with small practice piece and only then going to a huge project. I would say it should reduce beginner frustration, as many-molecule projects are very tempting but very easy to mess up, in case you lack practical experience. Above said does not mean that one cansuddenly achieve spectacular results without effort. Effort is needed in origami 🙂 especially in tessellations. But the explanations are really beginner-friendly imo. Most of the models in the book are based on square grid and some of them on triangular. This means they are all foldable without any special equipment. By special equipment I mean things like printers, plotters, laser or vinyl cutters. Some freeform origami tessellations or curved fold tessellations require at least a printer to be able to pre-score them. If you take paper bigger than A4 or letter size (which is usually the case for tessellations) you need a big printer or plotter. In that sense grid based models are very foldable, as only thing you need – the grid. And you can fold grid from practically any size paper. 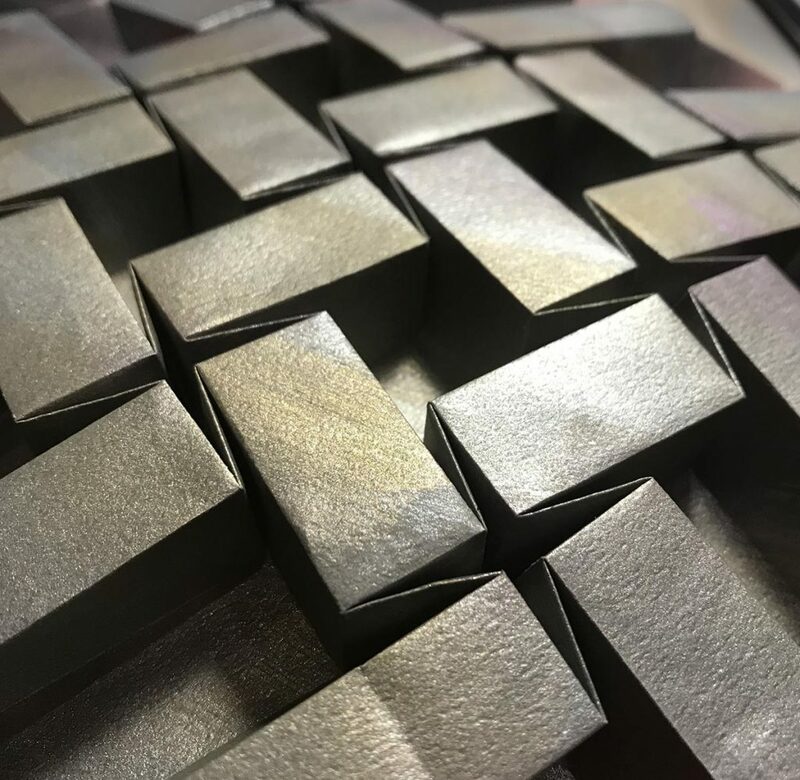 Side note: When people ask me to write a book about origami tessellations I always question if they think about how they are going to repeat some of my designs… It is theoretically repeatable, but it may require either some equipment or hours of precise template pre-scoring. Ilan has really nice explanation of how you can alter origami tessellation design to get a new model out of it. He does that in intuitive beginner-designer friendly way with a lot of practice and with little theory. So if you ever wondered, how origami tessellations are designed, this is how usually. I mean there are more complicated ways to design origami tessellations, but they are far less fun. The techniques I am talking about include things like spacing(grafting), mirroring and shifting of the origami molecules. These techniques are easy and fun to play with for a beginning origami designer. Including Ilan Garibi’s origami-inspried designs adds very nice flavour to the book. 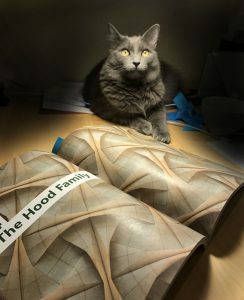 I see many people folding some of the models from the book, even though the crease patterns or videos (like bricks or adulthood) were out there for some time already. My only nitpick would be… I would love to see some short cultural reference to David Huffman. I would say that David Huffman with Ron Resch (who is mentioned) were pioneering a featured kind of origami tessellations. Here’s what I folded from the book. I don’t fold other people’s models recently, but could not resist this very original design by Ilan Garibi. 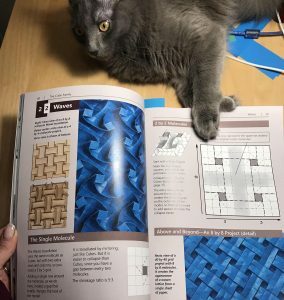 The model is called Twister C (shifted no spacing) and is on page 124.